If you’re watching your weight, then here’s a trick that helps. Using a plate that’s 30% smaller really does reduce food consumption by 30%, new research finds. It’s been a controversial topic for psychologists, with over fifty different studies published on the topic over the years. 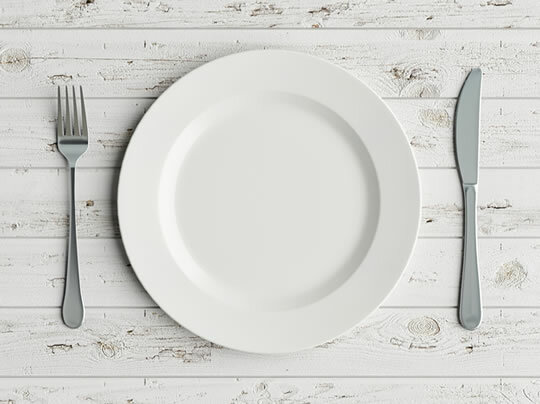 Some studies have found smaller plates help people eat less, others not. and are unaware they are being monitored. Over the years scientists have tested all kinds of foods, including snack foods, rice, fruit, cereals and popcorn. The effect of using smaller plates — as long as people serve themselves and aren’t aware they are being monitored — is usually the same. Reducing the diameter of a plate by 30% is enough to reduce consumption by 30%. If you’re watching your weight, then, it could be time to get some new, smaller, plates. The study was published in the Journal of the Association for Consumer Research (Holden et al., 2016).